Mallard is a common duck, which is very famous bird around the world. They especially known for their sound “quack”. You have probably seen ducks is Disney cartoons, in which the duck is shown as a funny character. Mallard are loved by people around the world. Many people domesticate the ducks in their farms. Mallards have brownish colored body. The males have green color head with a ring of white color on their neck. The females are smaller in size and have white and brown color. A mallard can grow about 2 feet in length and can weigh as much as 2.5 pounds. 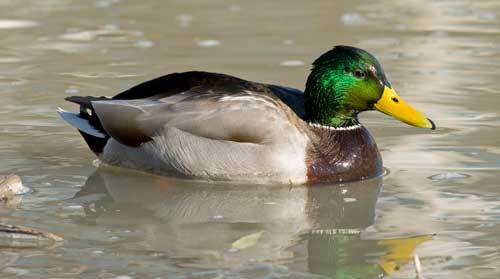 Mallards can eat both plants and animals, so they are called omnivores. They mostly eat seeds, human crops, fish eggs, and small fishes. They can easily catch the small fish in the water, because they are excellent swimmers. Mallard is a common duck, which is found in Asia, Europe, Africa, and United States. They prefer to live near ponds, lakes, and rivers. These birds also migrate in some areas when temperature of the area changes. They usually live to together in flocks, called as “sords”. Mallard duck swimming with its chicks. Mallard is not an endangered species, but their population is decreasing. Their population in the wild in affected by human activities. But, they are also domesticated across the world. So, the risk of being endangered species is less. Not every species of ducks sound as “quack”. 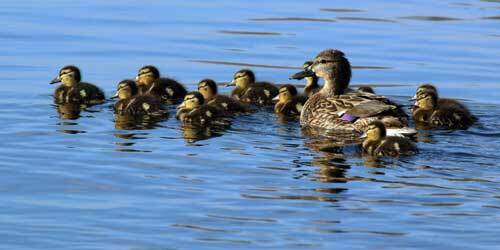 The quacking sound is made by females to call their babies. Many cartoons series characterize ducks as full yellow colored birds. But, it is not true. Mallard spends larger amount of time in water. 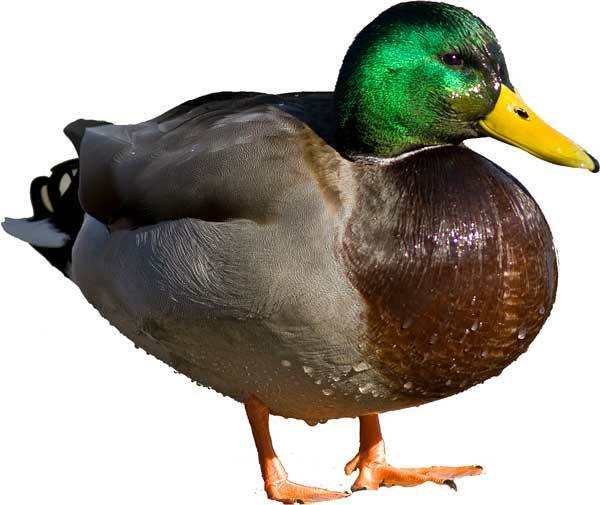 Abdul Wahab, "Mallard Duck," in Science4Fun, April 13, 2019, http://science4fun.info/mallard-duck/.